The list's real purpose is to "exacerbate the status anxiety" of prospective students and parents. The annual college rankings by U.S. News & World Report are out today, and with their release will come a predictable round of excoriating assessments from journalists, college officials, and others. The Atlantic’s Derek Thompson has called this annual chorus a “national carpfest.” Consider mine an early voice in this year’s bray-a-thon. But, honestly, what’s the point of all this ululating? We might as well rail against Cheetos, soft drinks, lotteries, or articles about the Kardashians. You can bash people over the head with information about how empty, useless, or bad-for-you some things are, yet lots of folks will still want to consume them. Each of us has some kind of tripe that sustains us. For many, it’s the U.S. News college rankings. What’s so wrong with the U.S. News rankings? How bad can they be? With the top spots in their “national university” rankings going to places like Harvard, Princeton, and Yale, and the slots a couple hundred places down the list going to the likes of Pace University or the University of Nevada-Reno, one might figure: Yeah, that sort of fits with my sense of things. So what’s the trouble? An essay by Nicholas Thompson in The Washington Monthly, September, 2000. A report from the University of Florida’s Center for Measuring University Performance, 2002. An essay by Colin Diver, then president of Reed College, about the U.S. News rankings, his decision to withhold Reed’s participation in them, and the liberating consequences of that decision, in The Atlantic, November 2005. A report from the Center for College Affordability and Productivity, March 2009. An essay by Malcolm Gladwell in The New Yorker, February 2011. U.S. News is always tinkering with the metrics they use, so meaningful comparisons from one year to the next are hard to make. Critics also allege that this is as much a marketing move as an attempt to improve the quality of the rankings: changes in the metrics yield slight changes in the rank orders, which induces people to buy the latest rankings to see what’s changed. The whole exercise implies a sort of authoritative precision and rigor that impart real meaning to the rankings, but that it is simply nonsense to say that, for example, Duke “ranks higher” than Johns Hopkins or that Middlebury should rank 13 spots higher than Wesleyan. Because the rankings have a popular audience, they encourage colleges and universities to game the system – i.e., to do what they can to raise their place in the rankings by, for example, spending lots of money on things the U.S. News formula deems important or by aggressively increasing the size of their applicant pool so they can turn away a higher percentage of their applicants, thus showing themselves to be “more selective” and thereby raising their rank. Moreover, some schools simply cheat. They actually lie when reporting numbers to U.S. News. Claremont-McKenna College is one of the most recent colleges to make it into the news for cheating the system, when it reported last year that a senior administrator had been sending U.S. News false SAT figures for years. The U.S. News rankings help to push college costs higher because the formula they use in calculating their rankings rewards schools that spend more money, so colleges and universities do precisely that, and then inevitably have to raise their tuition to cover growing costs. The rankings don’t take into account measures of the quality of education at each institution, nor is there any consideration of “outcomes” (for example, what do students at College X actually learn, and do its students get jobs upon graduation?). This weakness in the rankings earned a recent slam from Education Secretary Arne Duncan and comment from President Obama when he announced in August the Administration’s own proposal for rating colleges. Critics note that in a culture that is already too obsessed with prestige and cachet, the rankings (as Joe Nocera put it last year) “exacerbate the status anxiety” of prospective students and parents. Oh my god, what if I don’t get into a top-ranked school? What will people think? It’s probably a sign of my own cynicism that I believe this last point is the key to the ridiculous popularity of the U.S. News rankings and those put out by other organizations like Kaplan, Fiske, or the Princeton Review. Dupes fork over their hard-earned money for the rankings to see how their kid (and, thus, they themselves!) stack up against the kid down the street. Ha! Sweetie, did you see that Bowdoin is ranked 20 spots higher than Oberlin?! Ah, the smug satisfaction and inner glow that come from having bested the Joneses. No matter how ludicrous that “besting” is. But surely there is something good to be said about the U.S. News rankings? Yes. For parents and prospective students who know almost nothing about America’s colleges and universities, the ranking provides a rough guide to the institutional landscape of American higher education. Using the U.S. News rankings for any more exacting purpose is about as good for you as eating potato chips and Gummy Bears for dinner. With maple syrup. So, my best advice is simply to ignore the U.S. News rankings. If you want to find rankings of American colleges and universities that are far more nourishing and beneficial, look at the ones produced by The Washington Monthly. Unfortunately, I don’t expect my warning to be heeded by many. Americans love their manufactured, unreal “foodstuffs,” the entertainment provided by the trainwreck lives of trashy celebrities, the satisfactions of credit cards and sunbathing. Sober voices rail against all these. But to no avail. 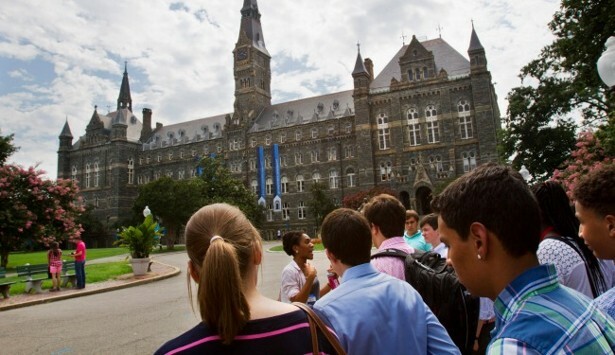 You’ll check the U.S. News college rankings to see how your alma mater stacked up this year. My sad, sick admission is that I probably will, too.